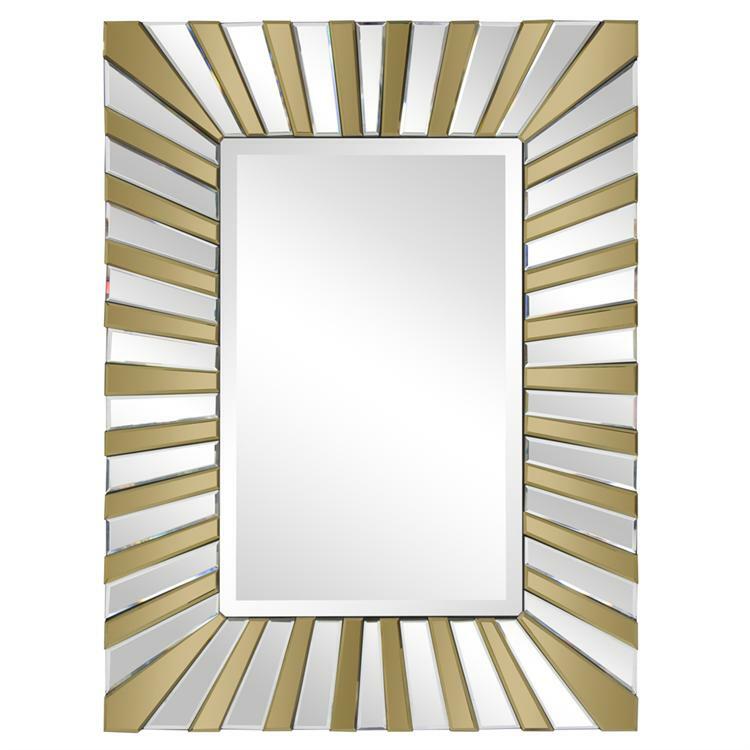 The Cisco Mirror features a rectangular frame composed of alternating mirrored bars of clear and amber gold glass. Each of the amber bars are tilted adding an interesting depth to the piece. Each of the mirrored pieces have a small bevel adding to the style and beauty of the piece. It is a perfect focal point for any design. Also available as 36 Diameter circle. Customizable for larger orders.